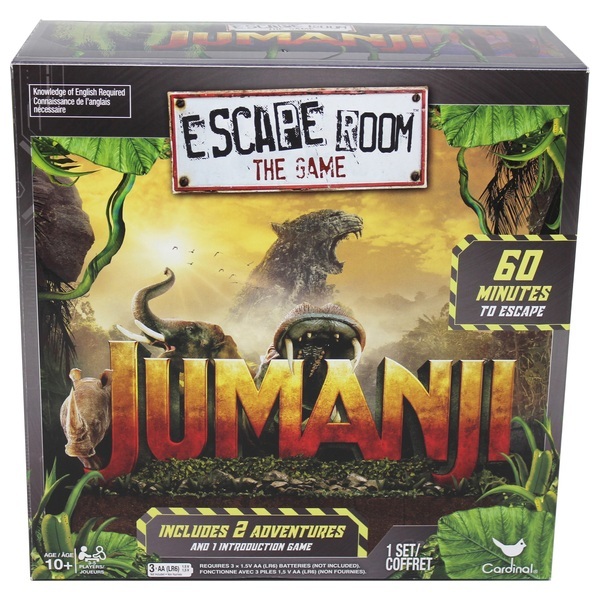 Jumanji Escape Room - decipher the codes that will set you free! The Chrono Decoder counts down the game minutes, the sound becomes more intense as time runs out! Time to get your thinking hat on! You’ve got 60 minutes to decipher the codes that will set you free in these exciting games of adventure and escape. Enter the correct keys into the included Chrono Decoder to move further along in the game. Enter the wrong keys and lose valuable time! Three different adventures included: The Drumming Closet, The Search for Jesse, and Break the Curse.